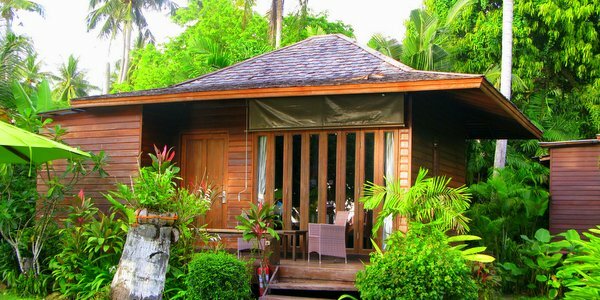 Luxury resorts on Koh Chang have steadily increased in number over the last few years to meet the ever increasing demand for accommodation at the top end of the market. The island now boasts 4 star resorts and hotels in all of the major areas of White Sand Beach, Klong Prao Beach, Kai Bae Beach and Lonely Beach, as well as in less well known spots such as Bang Bao Beach and Chek Bae on the east coast. 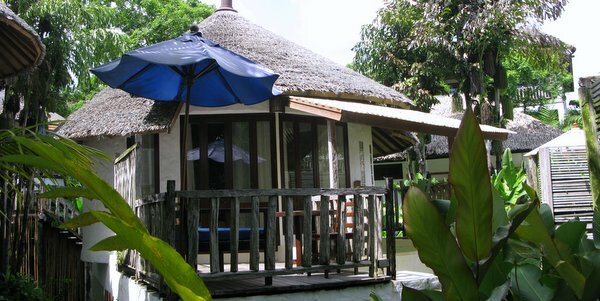 Though you might find some cheaper deals during the low season months from July to September, it is best to assume a room budget starting at 3,500bt to 5,000bt a night and for those that want to indulge, you can go much higher than that, with the most deluxe suites going at prices of 12,000bt to 14,000bt or more. In the larger luxury hotel category, Emerald Cove, KC Grande Resort and Spa and the newly opened Awa Resort provide a huge variety of rooms, from standard to sea view, pool side to deluxe, with feature length swimming pools, spas and a wide selection of in-house restaurants and bars. Each is located directly on the beach, with the best stretch of sand at KC Grande on White Sand Beach. 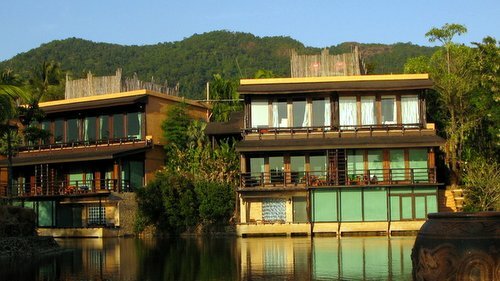 As well as by the ocean, both KC Grande Resort and Awa Resort, itself on Kai Bae Beach, have rooms on the mountain side of the road. KC Grande also throws in a couple of swimming pools on this side, one fabulous one up on the rooftop, for those too exhausted to walk across to the sea. At the northern end on the beach, villas and suites located by the sand, in the garden and around the pool, with more rooms and suites across the road in a hillside complex, complete with rooftop swimming pool and yet another pool and water slide. Spa, restaurants, bars and all activities. A pretty complete package in a great location. Brand new resort hotel from The Dewa team, 120 rooms and suites set around a large swimming pool with some beachfront. Opening at the turn of the year, we are sticking our necks out by already listing it here – it’s a surefire bet to marry up style and elegance with professional and discreet service and will prove very popular. Luxury resorts on a grand scale can be found on all the main beaches. The Dewa, the very well reviewed sister to Awa Resort has been open for a few years now, a mixture of rooms by the pool and deluxe villas near the sea. It’s on the beach in Klong Prao, next door to Emerald Cove. 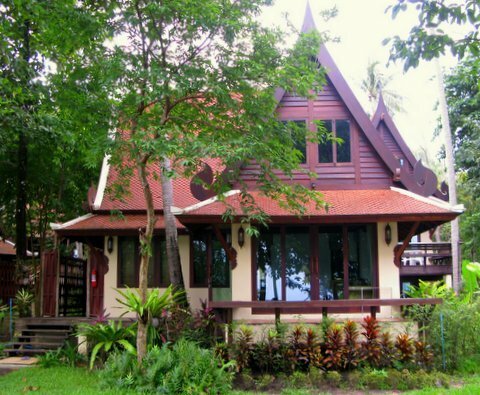 Also in Klong Prao on the canal, Aana Resort, remains very popular, its unique tree-house style design more than making up for it not being directly on the beach. 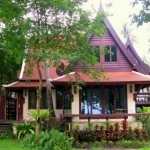 Gajapuri Resort, villas in natural hues secreted away in tropical gardens and The Chill, all sharp angles, modern and Bangkok, are located next door to each other in Kai Bae, The Awa as their neighbour. 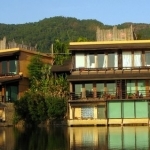 Fabulously designed resort on the canal at the northern end, with deluxe rooms in two storey building, designer villas with plunge pools, everywhere connected by wooden walkways above the gardens, linking togther the swimming pools, spa and restaurant by the klong. Kayak to its own private beach area. On the beach at the southern end, contemporary and stylish, deluxe rooms opening onto the long swimming pool complete with fountains or unique thatch roof round villas and grand villas. Restaurant, evening bbq terrace, beach bar, spa. One of the island’s top resorts. 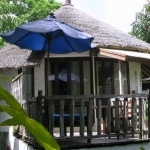 With a small beach front, boutique bungalows, private suites or villas with plunge pools, all set off raised wooden walkways in lovely secluded tropical gardens. Swimming pool, restaurant, spa and recently expanded with a new reception and entrance area, additional rooms and a second pool. A wonderful calm atmosphere prevails throughout. 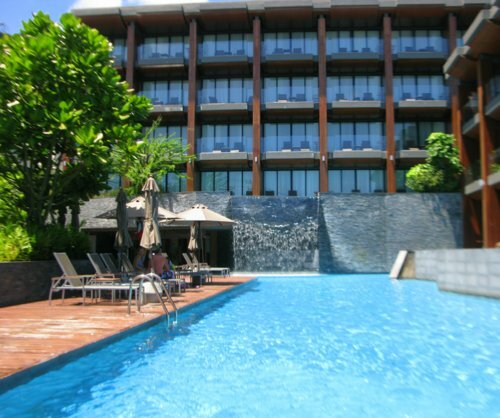 On the beach side, modern, sleek and cool resort with feature swimming pools from the entrance all the way down to the sea and deluxe, splash and jacuzzi rooms in three storey building running alongside. Restaurant, spa and cafe. Sophisticated and elegant. Luxury resorts of a smaller, more intimate nature include Chivapuri Resort, Nest Sense and Parama Resort. 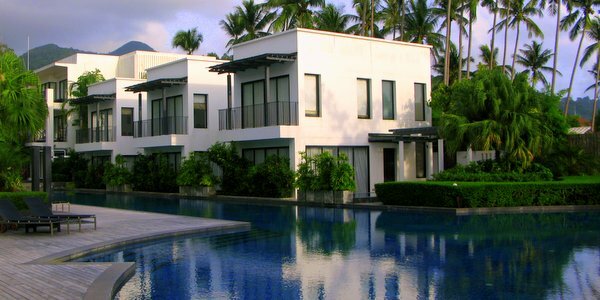 Located at the far end of the west coast on Bang Bao Beach, the peaceful villas of Chivapuri Resort have a wonderful location on the sand, with just a swimming pool between them and the sea. Just a short walk from the beach itself, Nest Sense, in Lonely Beach, offers a perfect antidote to the parties on its doorstep. Over on the east coast, meanwhile, Parama Resort provides the ultimate getaway. Overlooking the sea at the southern end of the backpacker and party area, a selection of villas on two grassed levels above the rocks, with a room complex behind. No beach but it does have a charming infynity pool. Bistro style restaurant, 15 minutes walk to the real sand. Chic, tasteful, peaceful and away from the more exuberant holidaying crowds. Huge beachfront villas, garden, deluxe, and sea view rooms at this small luxury resort nestled in the trees and on the beach towards the southern end of Bang Bao Beach at the far end of the island. Swimming pool, restaurant, massage, kayaks. Perfect seclusion. 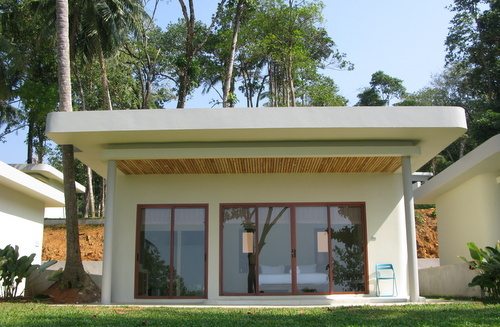 Intimate luxury resort run by the Epikurean chain, with 18 superior and deluxe rooms or suites. 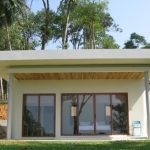 Lots of high end wood finishes, small swimming pool, vast fish ponds, spa, shuttle boat to the beach on Koh Sai Khao in Salak Phet bay. Restaurant with daily changing menu, wine and spirit selection. A romantics’ getaway. There are lots of other great places that maybe you feel should be included like Tropicana Resort in Klong Prao Beach and Kacha Resort in White Sand Beach. Of course it’s highly subjective, but we are confident that in choosing to stay at one of the resorts in our Top Ten, you’ll leave Koh Chang at the end of your holiday more than contented, very pampered and perfectly relaxed. Happy hunting.